Sometimes you can have your cake, and eat it, too. In Superwoman #14 K. Perkins brings back Maxima, in all her glory. Maxima was one of the more entertaining Superman villains introduced after Crisis on Infinite Earths, and was popular enough with readers that she even wound up becoming a member of the Justice League. As time passed, and tastes changed, her rabid desire to marry and mate with Superman became embarrassing as a main motivation, and Maxima was killed off during Our Worlds at War. During the New 52 a very different incarnation of Maxima was introduced in the Supergirl series. This Maxima became an ally of Supergirl, as they both attended Crucible Academy. 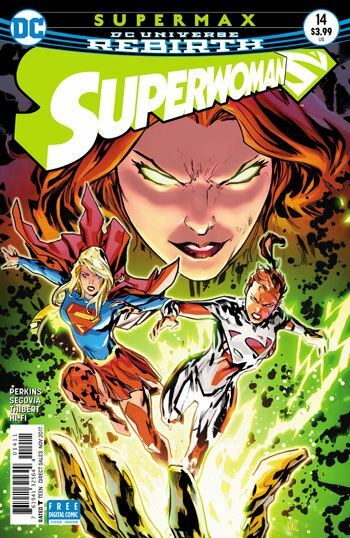 Rather than ignore either of these versions, Perkins brings both back in the latest issue, which also briefly pits Superwoman against Supergirl. Using both Maximas allows for some additional insight into Almeracian society, and what “Maxima” means to them. It also allows for the “original” to express her womb-driven obsessions, by having the newer version view this kind of motivation with disdain. That in and of itself would probably have been enough to carry this issue, but Perkins also follows up on the battle with Red Sun, and reveals the sad story of how Amos Aimes wound up becoming the deadly creature. Segovia and Thibert do a commendable job on the art, and keep both versions of Maxima looking as they had in earlier days. 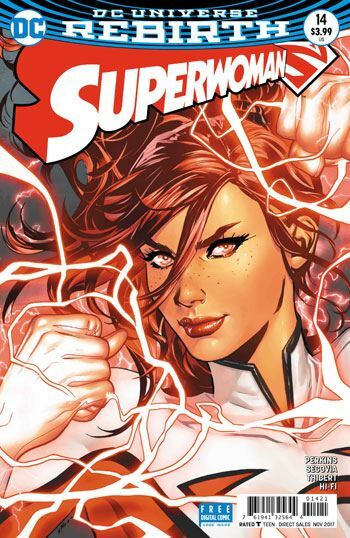 A fun story all around, even if Superwoman herself almost gets edged out by all the other characters.